Icelandair and Global Eagle Entertainment, (Nasdaq:ENT) (“GEE”) announced the introduction of gate-to-gate Wi-Fi connectivity on the airline’s full fleet of aircraft. 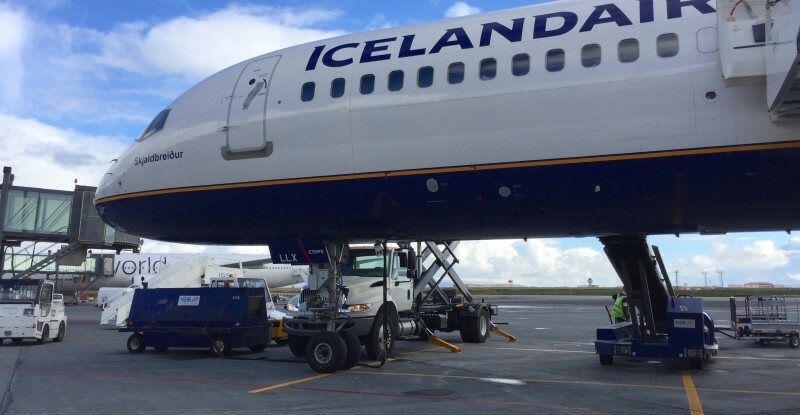 Passengers flying on Icelandair-operated flights between North America and Europe can now connect to the internet from jetway to jetway. This airline milestone in Wi-Fi connectivity designates Icelandair as the first airline in both the European and North Atlantic markets to provide gate-to-gate connectivity. Icelandair, with 43 destinations across Europe and North America on their fleet of Boeing 757 and 767 aircraft, has been providing passengers with on-board Wi-Fi since the company launched connectivity systems three years ago with GEE, a worldwide provider of aircraft connectivity systems, operations solutions and media content to the travel industry. This new system now extends the passenger Wi-Fi experience beyond not just their time in the air, but from the moment they’re welcomed aboard, to pulling up to the gate at their final destination. “This new service is a part of our strategy to offer our customers quality service, including Wi-Fi on all our routes. It’s important for us to be in the forefront at adapting and providing passengers great entertainment and connectivity, and the solutions provided by GEE make that possible,” says Helgi Már Björgvinsson, SVP Sales and Marketing, Icelandair. Icelandair also uses GEE’s portal-based on-demand service for a broad range of in-flight entertainment content, including movies, music and games aimed at elevating the Icelandair passenger experience. The gate-to-gate service will enable Icelandair and GEE to optimize the infrastructure to provide a superior Wi-Fi experience for their passengers. We make forward-looking statements in this press release. These forward-looking statements relate to expectations or forecasts for future events, including without limitation, our earnings, revenues, expenses or other future financial or business performance or strategies, or the impact of legal or regulatory matters on our business, results of operations or financial condition. These statements may be preceded by, followed by or include the words “may,” “might,” “will,” “will likely result,” “should,” “estimate,” “plan,” “project,” “forecast,” “intend,” “expect,” “anticipate,” “believe,” “seek,” “continue,” “target” or similar expressions. These forward-looking statements are based on information available to us as of the date they were made, and should not be relied upon as representing our views as of any subsequent date. These forward-looking statements are subject to a number of risks and uncertainties, including without limitation those risks and uncertainties described in our most recent annual report on Form 10-K, as amended, and subsequently filed reports on Form 10-Q, as amended. As a result, our actual results or performance may be materially different from those expressed or implied by these forward-looking statements. We do not undertake any obligation to update forward-looking statements to reflect events or circumstances after the date they were made, whether as a result of new information, future events or otherwise, except as may be required under applicable securities laws.